Any French car industry professional with an account at Aliapur can click on his département and will thus see the contact details of the collection service provider for his location. At Aliapur, two regional managers supervise the activities of collection and transformation of end-of-life tyres: Franck Retailleau (Western zone) and Alex Goret (Eastern zone). In the collection of end-of-life tyres, landfill sites are considered as storage sites just as much as garages and car centres. The first “Charter for the removal of end-of-life tyres from landfill sites” (Charte de reprise des pneumatiques usagés en déchèteries) was signed in October 2008 to define the technical conditions for the removal of end-of-life tyres. An updated version of this Charter was signed in December 2018 by the Mayors of France, the National Circle of Recycling and the sector. This new text is based in particular on the regulatory changes of 2015. Collections from landfill sites exclusively concern tyres from passenger vehicles and motorised two-wheel vehicles deposited by private individuals. These collections are free of charge, but are subject to the same rules as collections from garages. It is respecting these rules that makes it possible to keep the collections services free of charge. For landfill sites with insufficient storage space, Aliapur proposes setting up occasional collections. Aliastocks was created in 2005. It is a commercial subsidiary that belongs 100% to Aliapur. 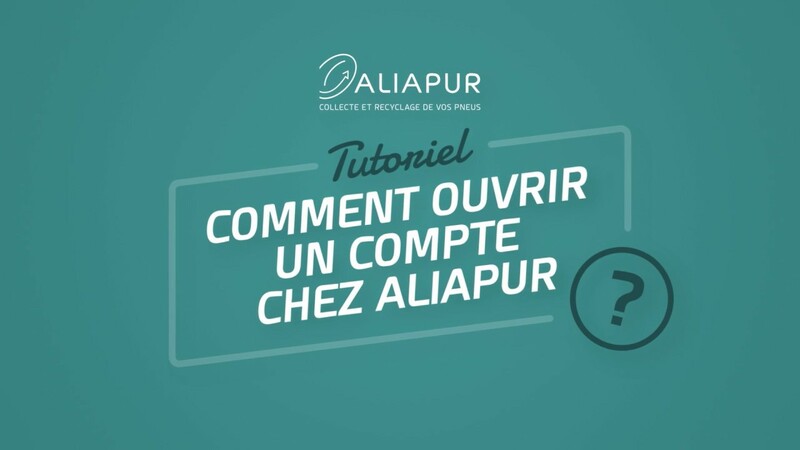 Its mission is to manage and process the end-of-life tyres not covered by Aliapur’s founding decree, that is, the tyres excluded from collections by Aliapur (and the French tyre sector in general). Aliastocks intervenes on behalf of communities or private land owners that want the volumes of tyres abandoned on their land removed. Similarly, the company deals with silage tyres, as farmers are now turning to alternative means of holding down covers for agricultural use. Aliastocks uses the same traceabilty tools as Aliapur, guarantees the same level of reliability in its processing procedures, and is based on the same tyre recovery solutions.